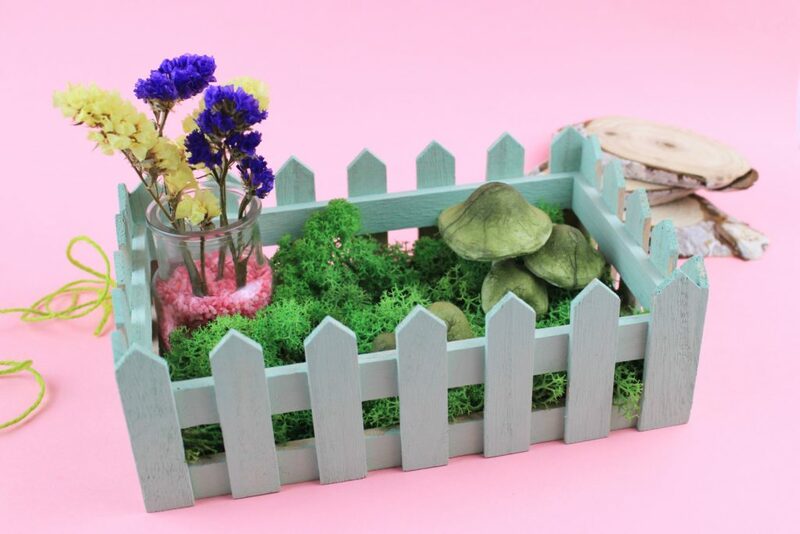 DIY Small Fairy Carden with Mushrooms and Moss! In my last trip in Bonn in Germany, I discovered a cute shop with decoration accessories and not only. The collection was really full of beautiful woodland and shabby chic items and really economical. So, in this store I discovered a pair of cute grey green paper mushrooms, that i fall in love with! As you can imagine, I bought them and then I was trying to decide how to use them. 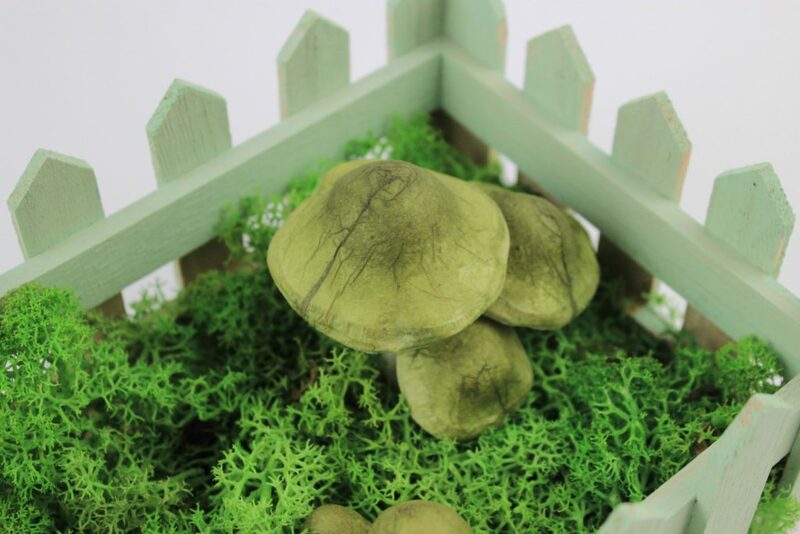 A really easy diy… DIY Small Fairy Carden with Mushrooms and Moss! Of course I had no idea how to use the mushrooms, but as I was a fan of Smurfs, it was impossible not to have them. And then I combined them with the green moss and the idea came up… what about a small fairy garden that I can use in a multiple ways? Afterall moss is one of my favorite materials to use. I have them already in Moss in a bottle necklace, on a Spring wreath, on our last year’s Advent Calendar and in many crafts actually! 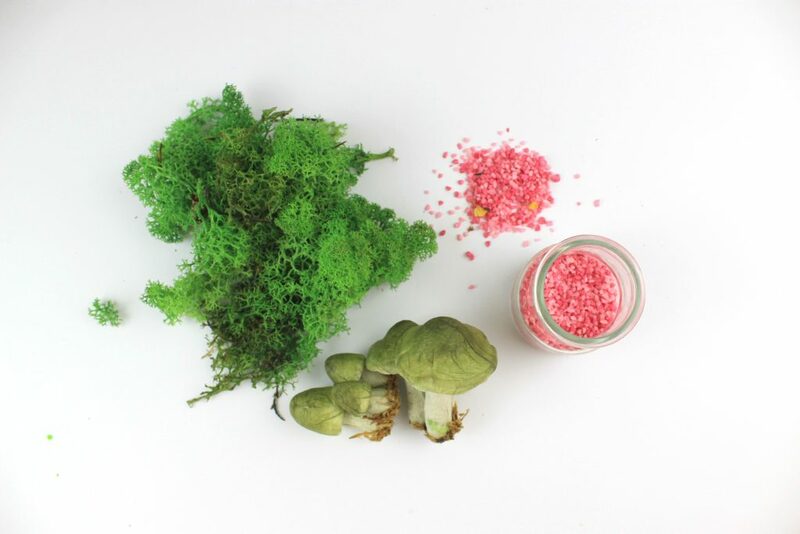 Mushrroms and real moss and we have the base for our fairy garden. So I had an old wooden box already in my collection and it was perfect for my garden. 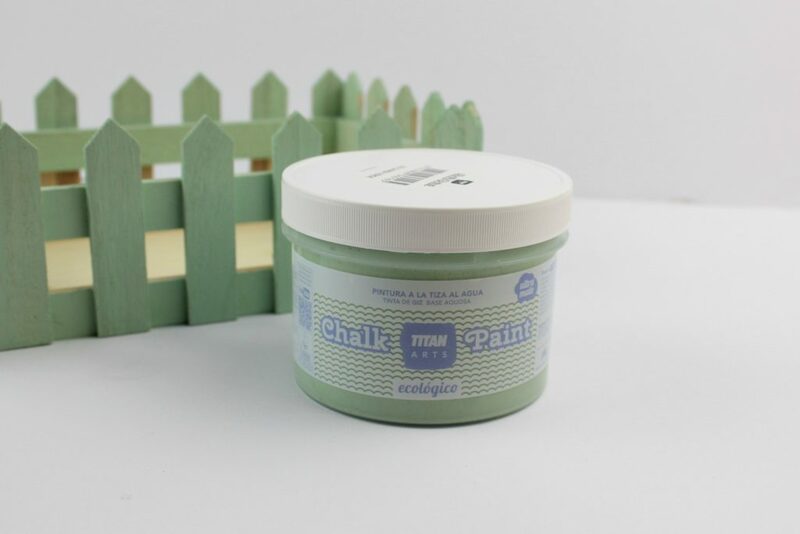 Chalk paint to make it more romantic, since I used a beautiful mint green shade. 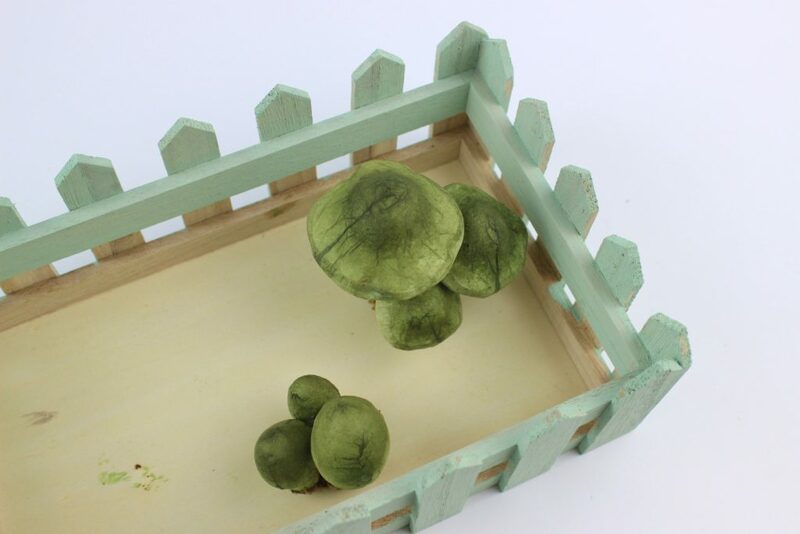 You only need to paint twice your wooden box and allow it to dry. It is ready to be used. Hot glue on the mushrooms and glue them in the box. Fill up the rest of the free space with moss anf our garden is almost done! In one of the corner, tha majon jar with the colored sand was a perfect addtition for the dried flowers. 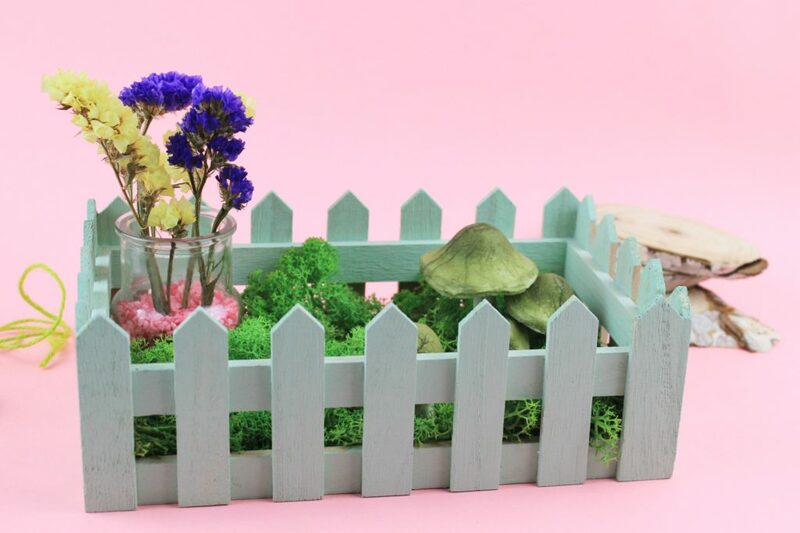 And you can change the garden according to your wishes… for example use real flowers on the Spring or candles during Winter or even shells or little pine cones! It is up to us of course! And since Christmaw are near, what about little elves or gnomes or even deers? A really easy craft to make and change it according to your needs. Perfect to use it also on the festive decoration! Last but not least, the specific moss is really tough and will always remain fresh and with a great color!